The Complete Idiots Guide To Knitting Illustrated Giveaway. 30 fun projects—from casting on to trying on! Jesse Janes creates fabulous, colorful pendants on Scrabble Tiles. The brightly colored designs reflect the beauty and unique quality of Jesse Janes owner, J. Foster. In baskets, boxes and trees all around. Such a feeling I have never enough. Do I imply that I could need more stuff? 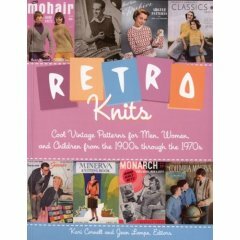 We have finished our reviews of these fab books “One Ball Knits” and “Retro Knits“and we are giving away our review copies . This knitting pattern is for this (look alike) Hello kitty doll that I am sure your kitty enthused daughter, granddaughter or friend is going to love. Click here for the FREE hello kitty knitting pattern. Maybe there are just not enough babies being born in America. Whatever the reason, knitting nuts across the land have taken their skills outdoors, creating crocheted coverings for everything from whole trees to door knobs and park benches.